My wife found a face cream recipe on the net so I had a crack at that since I'd already gone down the skin cream/balm track with the Green Nicotinamide cream and had some ingredients. First try I didn't have Carrot Seed essential oil so I used Neroli (has properties helpful for skin) but my wife doesn't like Neroli so it gets used for feet. This batch I had the Carrot Seed oil but I don't like the recipe as both times I had to adjust the recipe to achieve the cream (even then this batch hasn't quite achieved consistency). Ingredients: Green Tea, Rosehip Oil, Jojoba Oil, Carrot seed oil, Vit E, Cetyl Alcohol, Stearic, Bees wax, essential oil. I tried some on my face later after the Jojoba oil this morning (I'm not usually a face cream person) and it's fine. I'd only recommend it for dry skin. I think I'll try a different recipe next time. The foray into skin creams hasn't gone too bad. 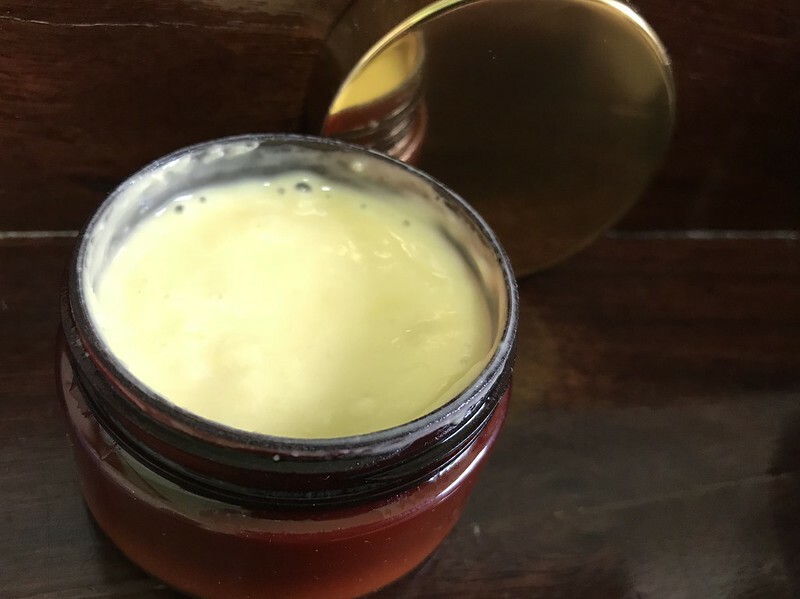 So far I've made a 20% zinc cream for heavy duty irritated skin or as sun block, a 5% version which soaks into skin nicely and is soothing, the Green Nicotinamide Cream for dry itchy irritated skin, and this face cream which is probably the least successful so far but still quite usable. I've really got to get out of the kitchen and into the shed! I'm selling a bar fridge which would fit nicely in your shed!! 20% zinc cream sounds like a great sun block! I never use the chemical based sunscreens. Yeah, I'm the same. I prefer to just cover up, occasionally using zinc cream across the nose. I haven't tried my cream for sun block yet but it looks and feels the same on the skin.